It's that time of year, at least here in the north, where everyone is getting sick because we've barely seen the sun in months, spent waaaay too much time indoors amongst the germs and can hardly get our hands on a local vegetable. So I'm here with my tips on how to keep your immune system strong and give it that extra boost when you feel that scratchy throat or flu-y headache coming on. My go-to. Raw garlic is an amazing immune system booster. As soon as I'm feeling sick I take one of these. Chop up one clove of garlic, add a little squeeze of lemon and just enough water to swallow it down in one go! I usually take it right before bed, because it can definitely make you a bit smelly! I always have a jar on hand. Echinacea is a herb that has been shown to reduce symptoms of colds & flus. I take it in tablet form and find that it's most beneficial when taken as soon as you start feeling sick. You can buy it at any drugstore or health food store. Fresh ginger root is thought to help the body remove toxins and cleanse the lymphatic system, which are extra important when you're feeling sick! 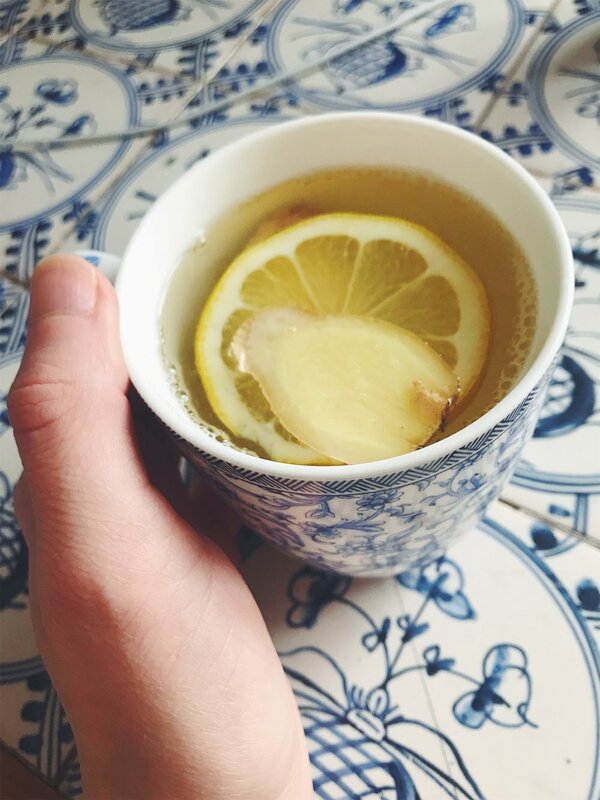 I like to squeeze 1/3 of a lemon into a mug, add 3 slices of fresh ginger and top it up with hot water. If I'm feeling a little rundown, I find that it helps to skip my usual morning coffee and have this instead, as well as having it throughout the day and in the evening before bed. Also, AVOID SUGAR LIKE THE PLAGUE. Refined sugar suppresses your immune system, making it that much harder to get better and back to your normal self. I avoid added sugars, candy, chocolate bars, etc at the best of times but if I'm feeling under the weather I won't touch it. If you're tempted, just think about the white stuff destroying your immune system and never feeling better... that usually does the trick. Veggies are packed full of vitamins, minerals, fibre and antioxidants, all of which help to keep us healthy, avoid disease and keep our immune systems strong. Make an effort to eat lots of veggies on a regular basis and they will help your body stay strong when you're surrounded by the sickies. Vitamin D helps to strengthen your immune system and reduce your risk of infectious disease. Of course, the best places to get Vitamin D are from the sun and certain foods like salmon, sardines, mackerel and eggs. But depending on your diet and where you live (and also if you have trouble absorbing it), then it's very easy to become deficient. 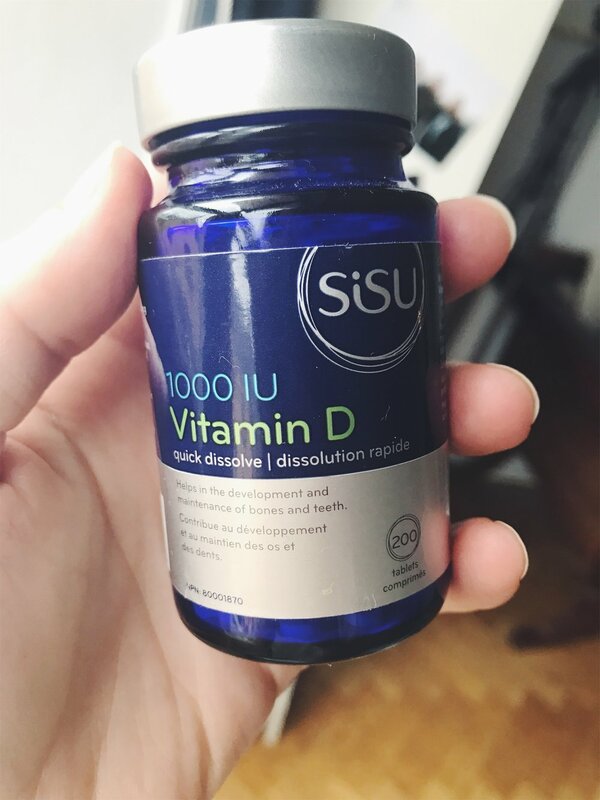 I take a Vitamin D3 supplement through the winter months and then focus on spending time outside in the warmer months. 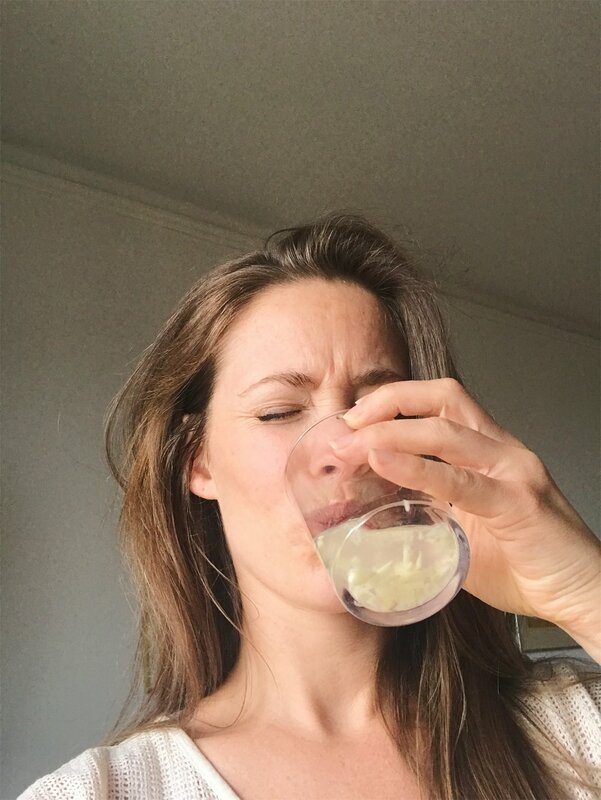 Getting lots of water into us ALL the time is so important as it helps our bodies flush out toxins, and this becomes extra important when we've been exposed to sickie germs. Try to drink as much as you can. Drink your normal amount, and then just keep going. Of course, it's also important to GET ENOUGH SLEEP, reduce stress and some regular exercise. These often all go hand-in-hand, my go-to's are going to yoga classes or getting outside for a walk, a hike, skating etc. I also like to spend some time reading a book in bed before turning off the light, it helps me fall asleep so much faster. Do you have any go-to's that help you stay healthy and avoid getting sick?